The engine is on display in the city’s Langan (also known as Municipal) Park. The park is located approximately 7 miles west northwest of the downtown central business core. A wrought iron fence surrounds the display. 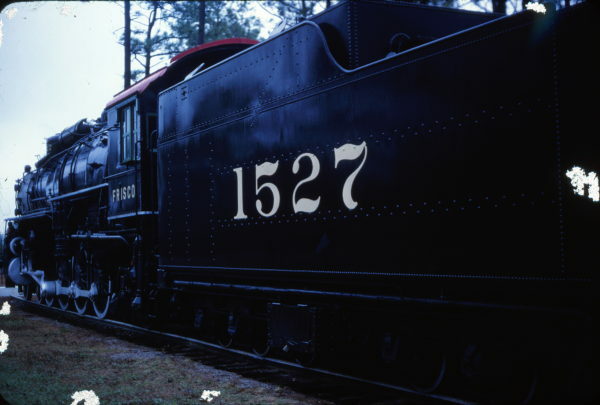 The locomotive was donated to the city in 1964. It sits near the northwest corner of the 720 acre park in the city’s Spring Hill neighborhood. The display is near the intersection of Zeigler Boulevard and Gaillard Drive / Forestdale Drive. The park is located at 4901 Zeigler Boulevard, Mobile, AL 36608. The 4-8-2 wheel arrangement, Mountain type, steam locomotive was built by Baldwin Locomotive Works in 1926. It is one of thirty similar locomotives delivered by the manufacturer in three groups during 1923 (SLSF 1500-1514), 1925 (SLSF 1515-1519) and 1926 (SLSF 1520-1529). All of the 1500 class engines featured 69” diameter drivers (increased to 69 1/2” during 1942-1943), 26” x 28” cylinders, boiler pressure of 210 pounds and had boiler grate areas of 70.3 square feet. These features resulted in tractive effort of 56,800 pounds (trailing truck boosters increased this by another 8,750 pounds). 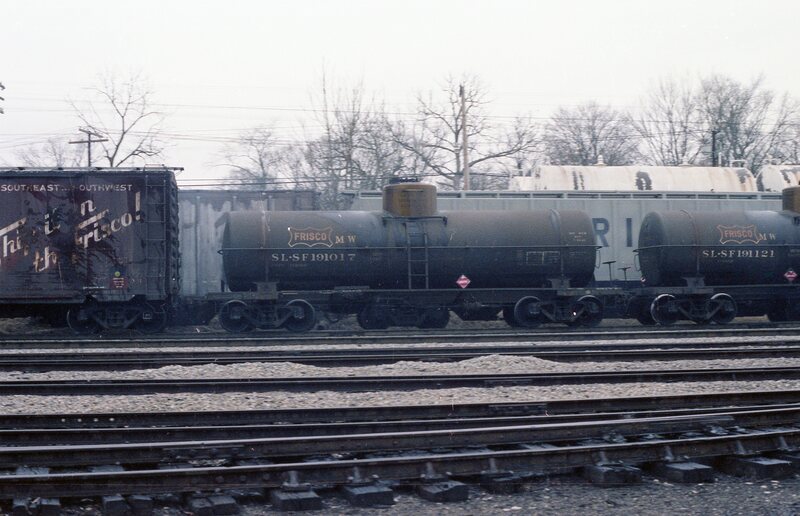 Franklin C-2 trailing truck boosters were applied to engines 1503, 1512, 1515, 1516, 1517, 1522, 1523, 1524, 1524, 1526, 1527 and 1528. 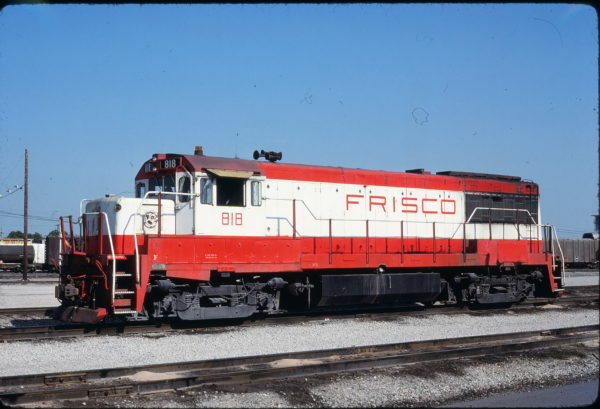 The first two groups of locomotives weighed 342,200 pounds (357,400 with trailing truck booster) and the last group weighed 350,890 pounds (380,890 with trailing truck booster). Unfortunately this engine does not feature the more traditional Frisco coonskin number plate below its headlight. Instead it is among the minority of system engines that has a rectangular number plate. Special thanks to Mark Davidson. Tank Car 191017 at Thayer, Missouri on December 29, 1978 (R.R. Taylor). U25B 818 at Tulsa, Oklahoma in July 1980 (James Holder).